Unfortunately, often people think of rats only as subway-station rodents or pests in their home. But rats can actually make wonderful pets! Rats are smart and friendly animals, and can in fact be very affectionate. 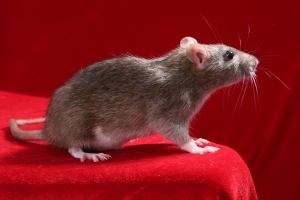 Ideally, because of their social nature, it is best to adopt a pair of rats who get along and are of course both altered so that they cannot have a litter. Other benefits to having pet rats are that they’re quiet creatures, surprisingly clean, and generally easy to take care of. Pet rats behave differently from the feral ones you might find out in the wild. Being domesticated just like a cat or dog, pet rats don’t pose any more of a health risk than other pets. Not to mention, they’re also just super cute! You can find your own pet rat to adopt and love by clicking right here! If you’d like to read more information on these fascinating animals, check out this great article!